When we chose Asheville Arborcare to remove trees on my property we were confident we had hired a knowledgeable and conscientious company. We did not know, however, the degree of precision they would achieve in falling the timber. Nor did we contemplate the extent of their services. Asheville Arborcare far exceeded our expectations. Large trees came down precisely around the base of each. Our gardens, fencing, and home; all very close to the tree work; were not compromised in the slightest. We were delighted to find that all debris was removed, even leaves. In fact, there were fewer twigs and leaves on the ground after Christian Edens completed his work than there were when he arrived at the site. 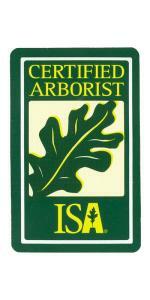 We had talked to several tree companies prior to choosing Asheville Arborcare and gained several estimates. While Asheville Arborcare was comparable in pricing, we are certain that its services, work ethics, and skill level far surpass its competition. Christian, Thank you so much for today...you guys did an amazing job!! Christian - We have had many tree services at our property throughout the years but none as outstanding as Arborcare. Our thanks to you, Travis and Frank for a great job. We will contact you in the spring regarding additional work and will definitely mention your company to others looking for tree service. Christian and his very capable team made this tree removal a very pleasant experience. He arrived when he said he would and he did what he said he would at the price that he said he would do it. This is the very definition of a satisfactory transaction. They even cleaned up all debris and the yard looks better than when he arrived. I plan on using Ashevile Arborcare in the future. Christian and his Team did an outstanding job. From the getgo Christian communicated in an intelligent and effective manner. He wasted no time in getting to the site and performing an estimate which was well organized, easy to understand and of course was very fair. He and his Team approached each day with vigilance, care and safety. Their work result was more than we had asked for. I will definetly utilize their service again in the future and highly recommended them to anyone with similar work needs. They were prompt to arrive as agreed. They explained what they were going to do and how they were going to do it. They worked steadily all day until the tasks were completed and afterwards the area was cleaned of all debris. Also cleaned the gutters. Trimmed trees off of house. Took down several dead trees. Every once in awhile you get the chance to work with someone friendly and professional that brightens your day. It was not only a joy but refreshing to work with you. Thank You. Christian came in and did exactly what I asked. He did a great job and I would recommend him to my friends and family!